Buy 5 or more of this model and receive 5% off! Click the button above to automatically add 5 to your cart, where you can increase the quantity as desired. The 5% discount will be applied at checkout. 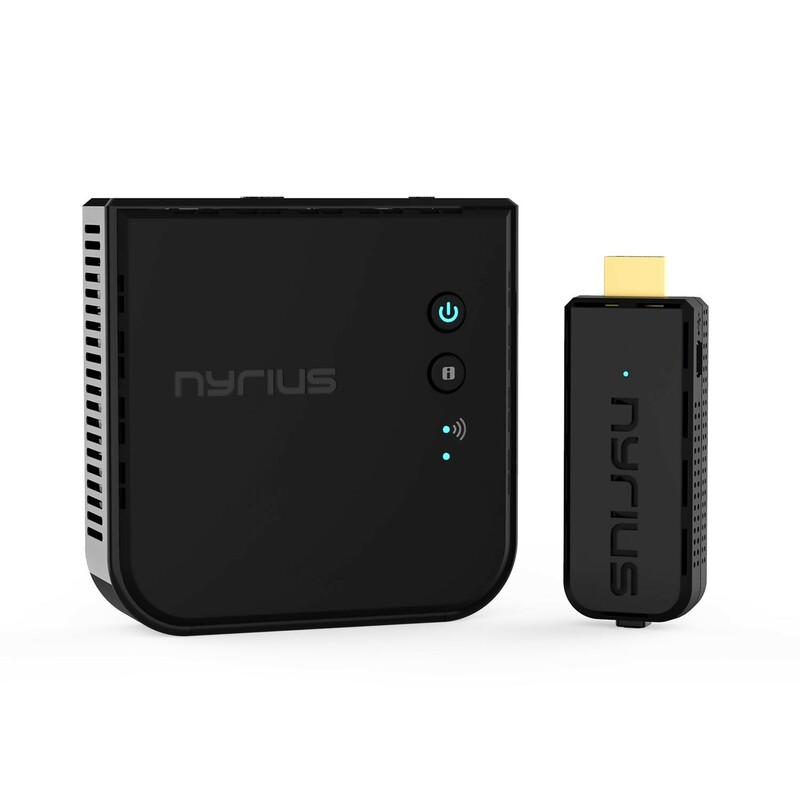 If you are looking to purchase a quantity of 20 or more, please visit www.nyrius.com/wireless-solutions-for-business for exclusive discounts. quality – it’s like an invisible HDMI cable. 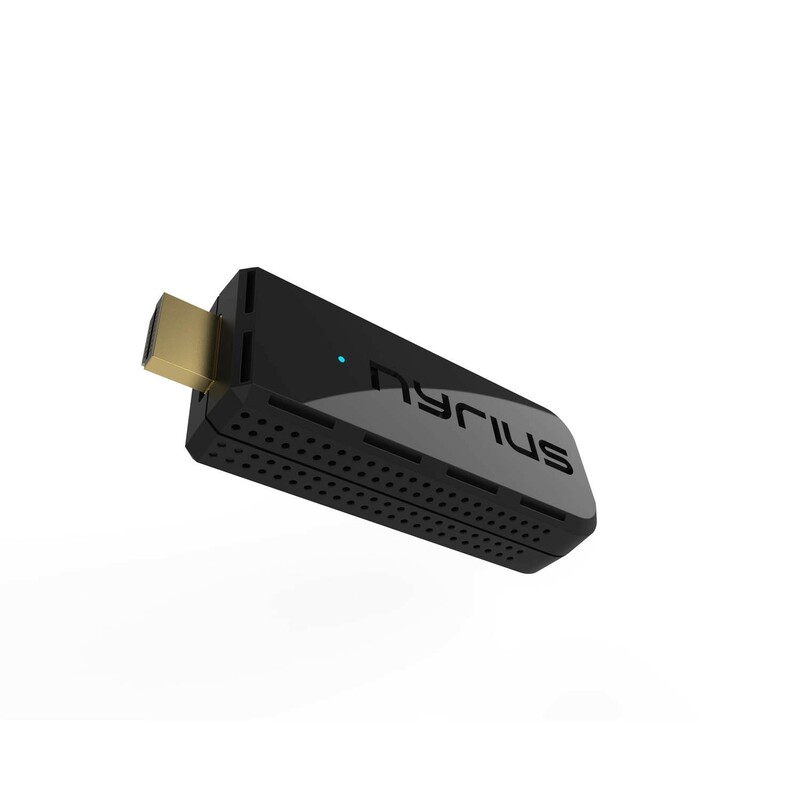 absolutely no loss in picture quality – it’s like an invisible HDMI cable. schedules or your cable bill. by wires, software applications, TV schedules or your cable bill. 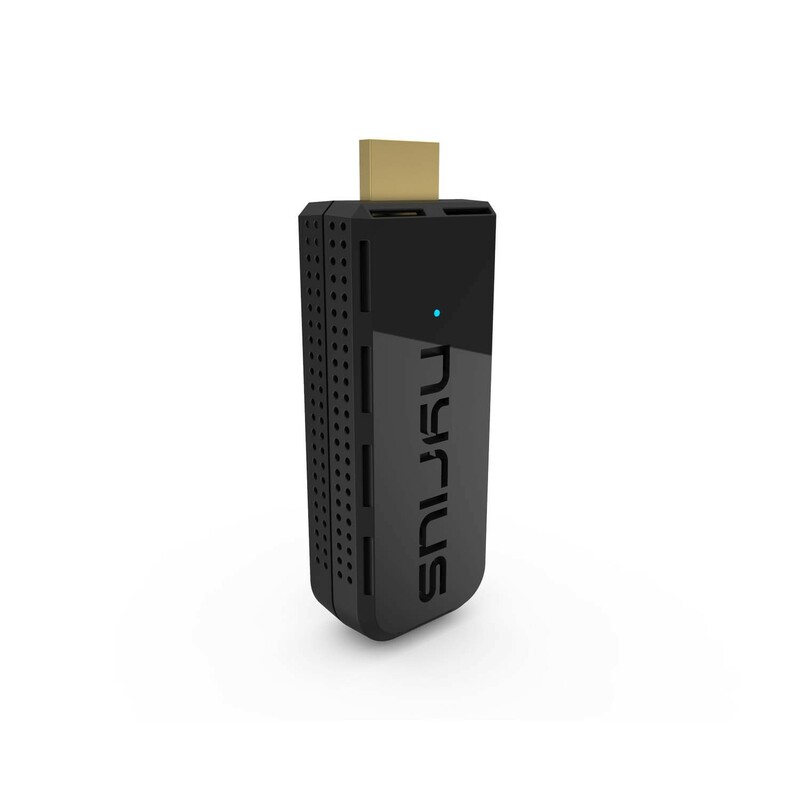 limited by wires, software applications, TV schedules or your cable bill. & floors (streaming line of sight results in maximum 30ft range). 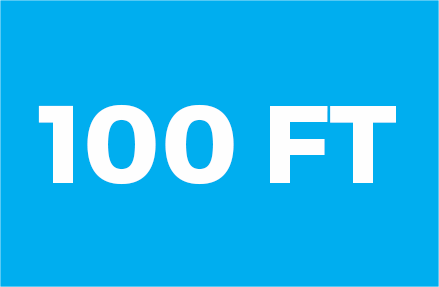 line of sight results in maximum 30ft range). 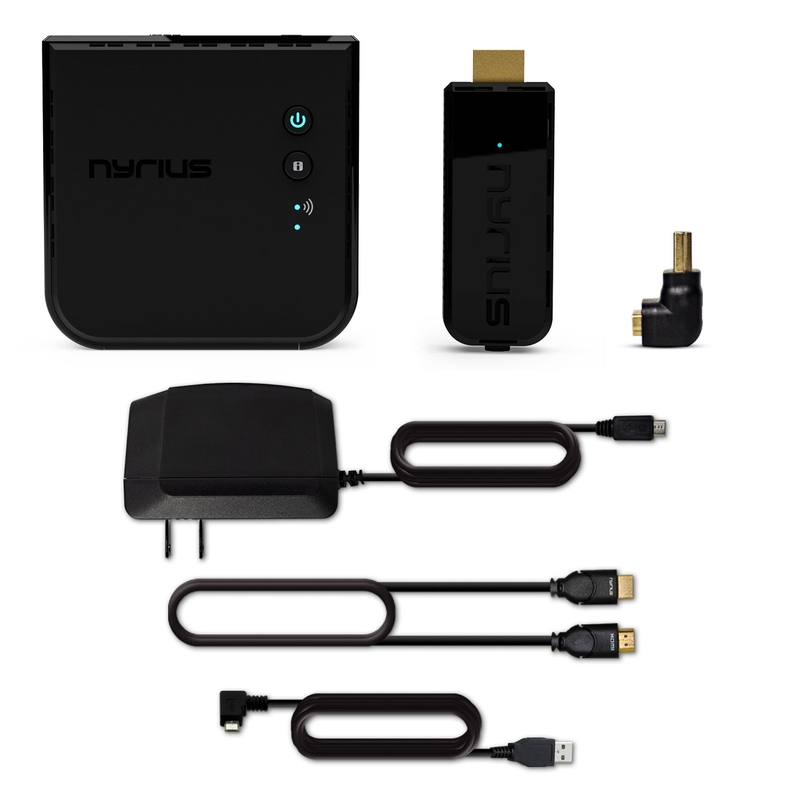 The ARIES Prime’s convenient plug & play setup gets you watching wireless video fast. into your device’s HDMI connections & you’re immediately connected. connections & you’re immediately connected. HDMI devices where you want them. 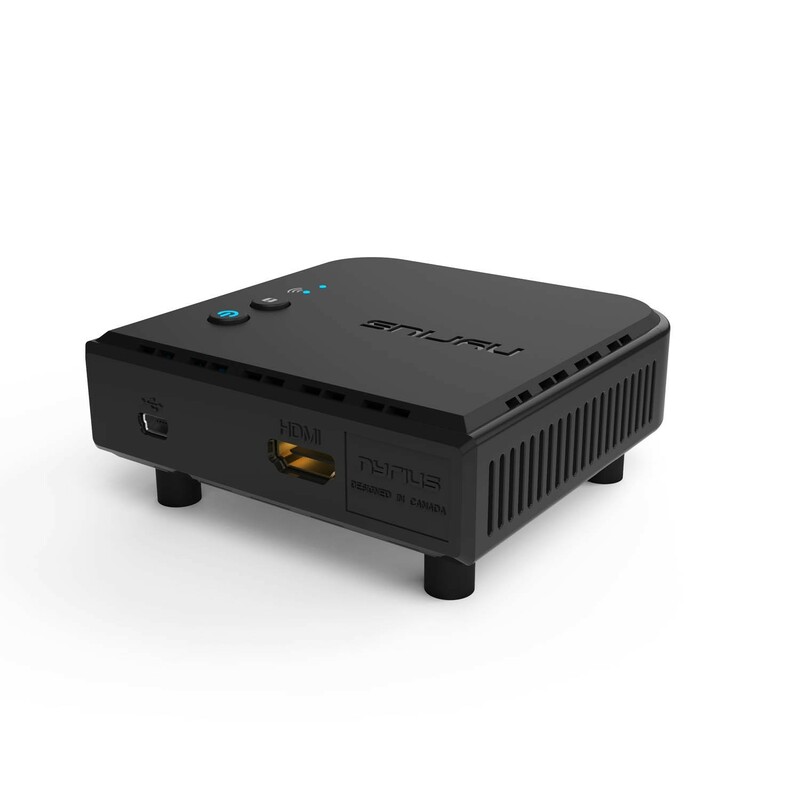 from the equation, allowing you to place HDMI devices where you want them. place HDMI devices where you want them. Bluetooth, WiFi, or any other wireless network. 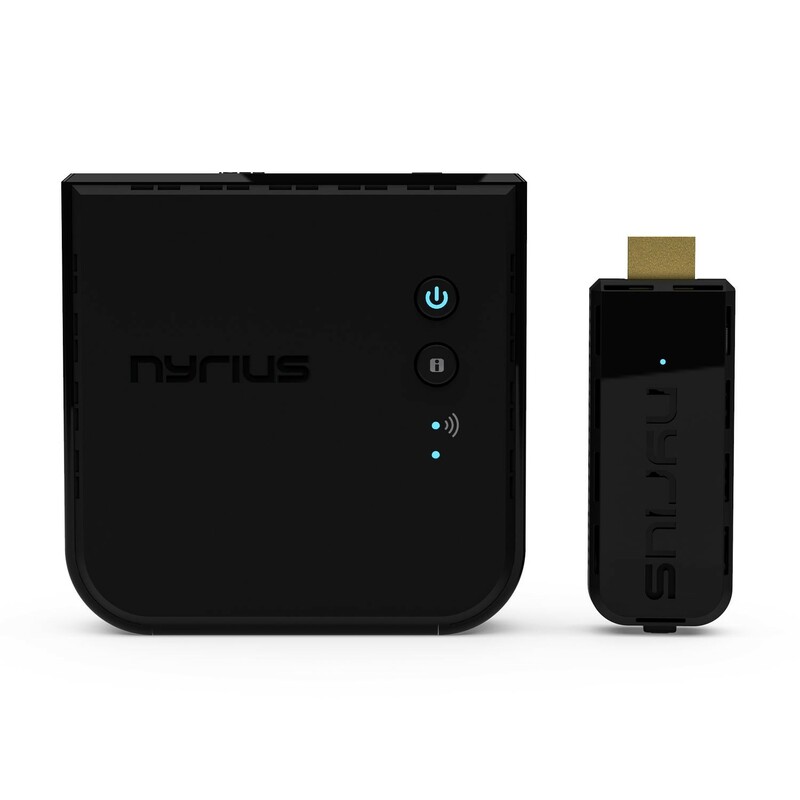 high-speed digital signal won’t interfere with Bluetooth, WiFi, or any other wireless network. interfere with Bluetooth, WiFi, or any other wireless network. 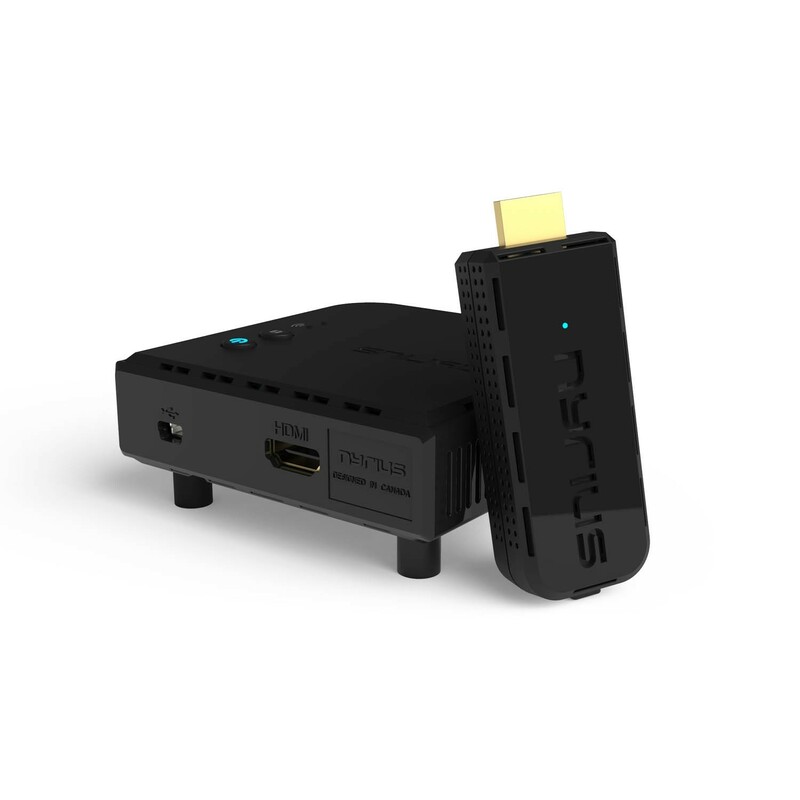 "From my tests, the Aries Prime Wireless HD Transmitter/Receiver works great. I had no issues with streaming full HD content from my laptop to my LG HDTV, an ASUS HDMI monitor, and even my Epson projector through my AV receiver. There was no lag that I noticed while testing out gaming either – including streaming my Xbox One to my Windows 10 laptop and transmitting the signal through the Aries Prime to a TV." "I find the ARIES Prime to be a very good balance of convenience and performance. 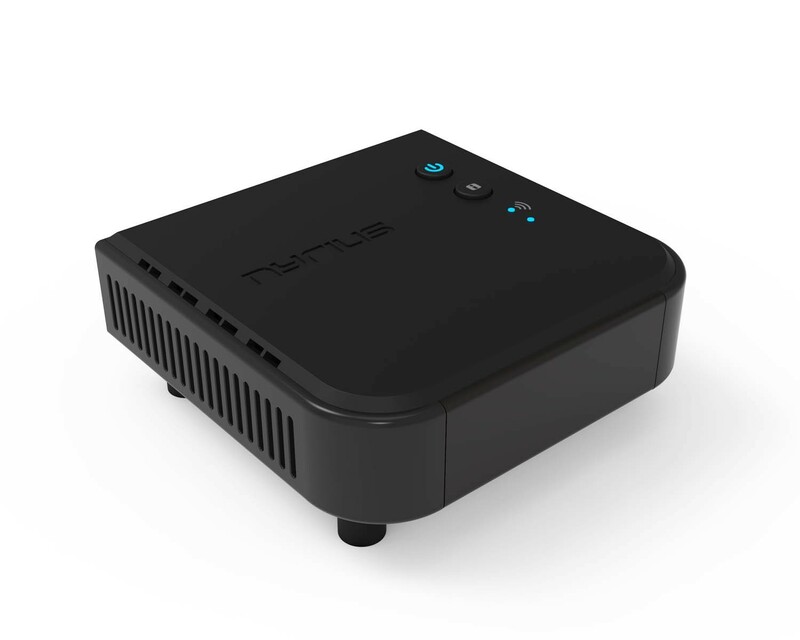 For anyone in search of a simple solution to a potential wiring nightmare, I can recommend the Nyrius thanks to its ease of use and reliability." Your latest customer review is live on Amazon. We and millions of shoppers on Amazon appreciate the time you took to share your experience with this item. I purchased this product directly from the seller website. This is a high quality product. I have been using it since 7 months and so far no issues. Easy to connect and and can see 1080p videos lossfree. Best part is - there is absolutely no timelag. I saw someone say that the picture comes out grainy - but that is not the case for me. I am using it to connect my Dell Insprion (2012) laptop to a 24" LED TV and use it continuous for 12-14 hours daily. Product heats up on use, but nothing extreme. The laptop connector has been designed to withstand heat and has proper ventilation vents. Wish it was a bit cheaper to get it within the affordability range. We bought this for our conference room and it works wonderfully. I have had this unit for about six months. It has worked flawlessly. We now have three installations in different locations at our company. 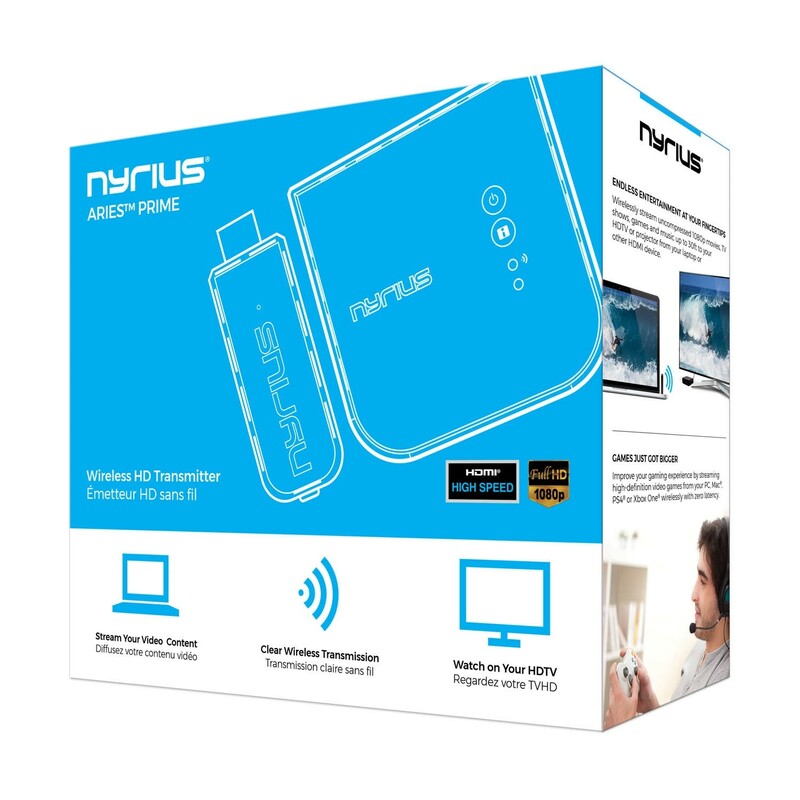 Response is fast with no noticeable land and no issues for dropping connection. Works great! Had it up and running in about 30 secs. I was a little leary as some reviews said the unit got hot and didn't work. I plugged this in to my cable box about 15 feet away and within a few seconds I had video show up on my big screen. I have not seen any issues with heat! I even forgot to take the plastic wrapping off which was covering the side vent slots and still remained cool.